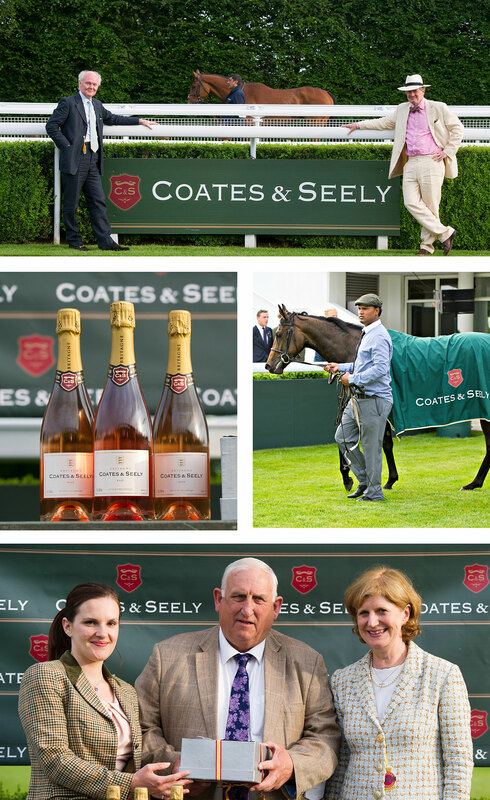 Coates & Seely’s journey into the world of racing continued afoot on the first of the 3 Friday Nights racing events at Goodwood on 2nd June, when the Coates & Seely Novice Stakes were run. On a gloriously sunny evening, Irish filly Short Call, trained by Mick Channon and ridden by Martin Harley, tracked the leaders in an exciting race before moving slightly ahead two furlongs out to finish just over two lengths ahead of the runner up. Amidst the copious betting in the Coates & Seely box, multiple corks popped as the winners celebrated victory and the losers took solace in the most agreeable response to defeat yet to be devised by man.